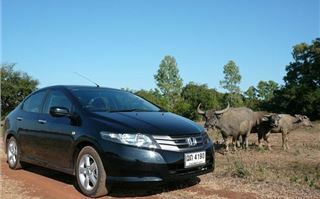 The Thai market Honda City is a model unfamiliar to British drivers. 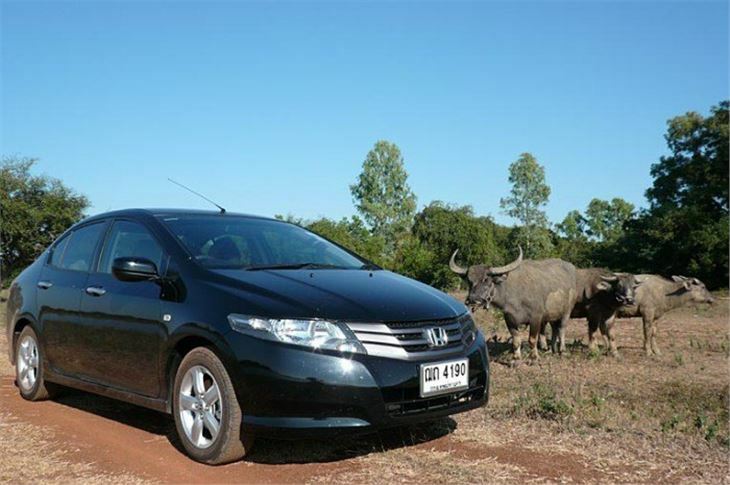 Neither Honda nor Toyota expected the Thais to buy a small hatchback. The market in Thailand for this size of car was saloons. And if you asked Thais before 2003 they’d have confirmed that they didn’t like the look of hatchbacks. Unfortunately, with its disjointed upright stance and portholed ‘A’ pillars, the City wasn’t going to win any beauty contests. And Thais puzzled as to why Honda had ever bothered with its lift-up-squab ‘magic’ rear seats. 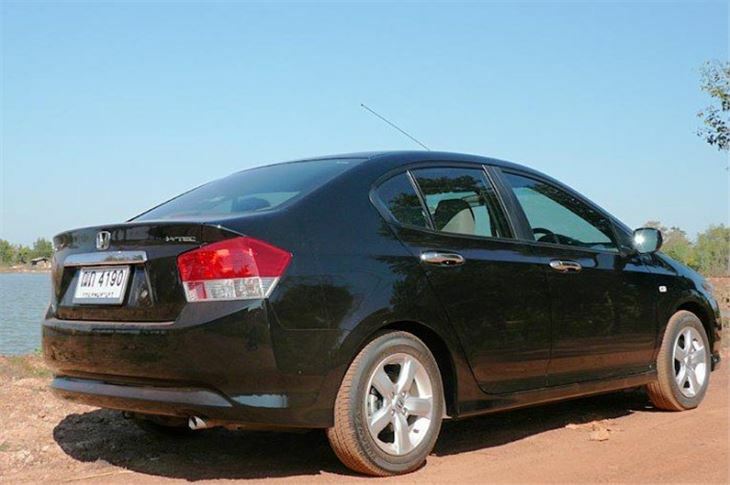 The Soluna Vios ran away with the Thai small saloon market, and the Honda City languished. 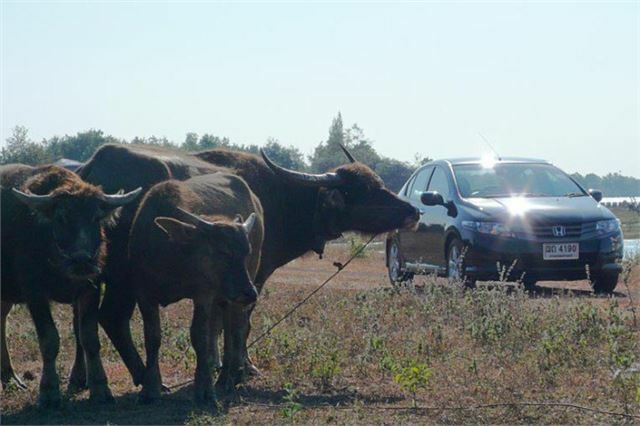 Toyota couldn’t let Honda have this new section of the market all to itself. 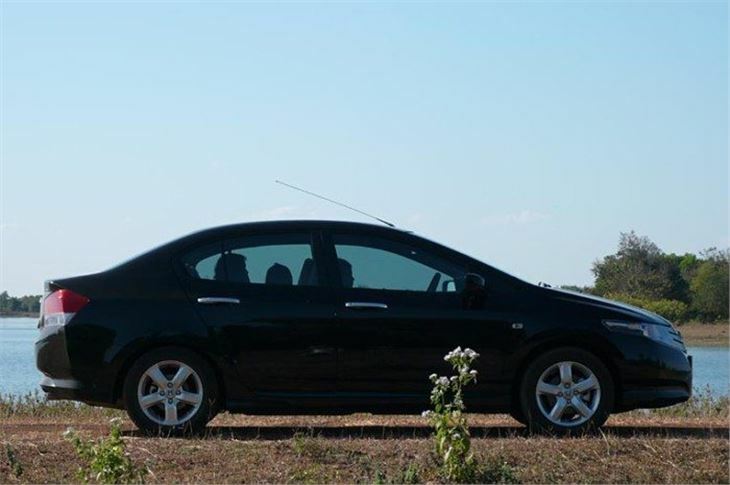 So as soon as the second generation Yaris (‘Vitz’) was ready, Thailand got that, continuing with the standard 110PS 1.5 and 5-speed manual or 4-speed autobox as the Soluna Vios. Even the tourist police on Phuket Island now run around in them. Based on the second-generation Jazz, with I-VETC instead if I-DSI engines, it’s a very pretty car that has everything in the styling department that the new Vios doesn’t. 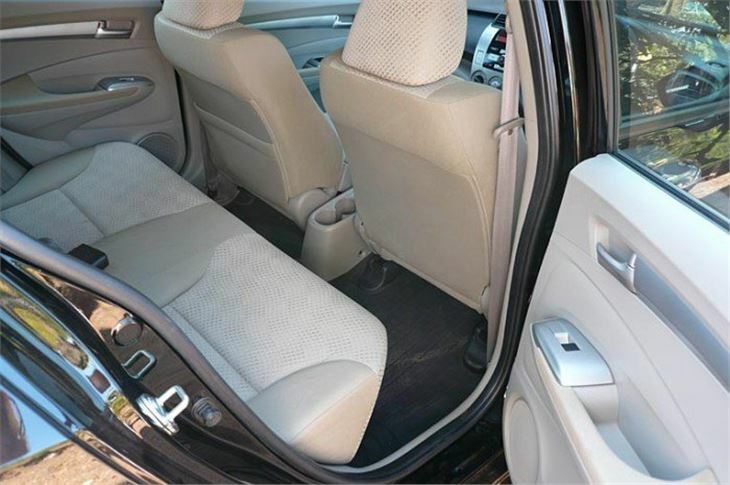 The fuel tank is under the hard front seats, and you sit quite high, but very comfortably. 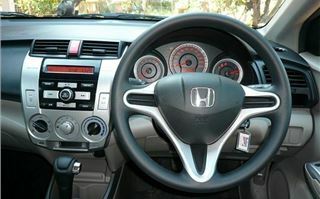 The steering wheel is similar to current Civic and Jazz and adjusts for height but not reach. The instruments are clear analogue, picked out in red. The dash is pleasing to look at and ergonomic to use. 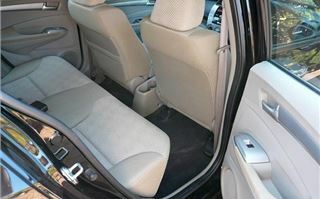 Instead of lift-up ‘magic’ rear seats, Honda has gone for deep storage bins underneath them, because that’s what the market told them it wanted. On SV versions, the seatbacks fold down onto the squabs. And Citys have two rear ISOFIX childseat tethers. The big 506 litre boot is wide and deep, keylock or cabin release, but no button, and under the floor there’s a full-size steel spare wheel, with the same 175/65 R15 tyre as the other four. Actual dimensions are 39” deep x 58.5” wide behind the arches x 25” high. Steering is reasonably meaty and doesn’t divorce you from the road. I guess they moved the camber angle forward as they did for the new Jazz to make it more positive, though it does lightens-up a bit at speed. 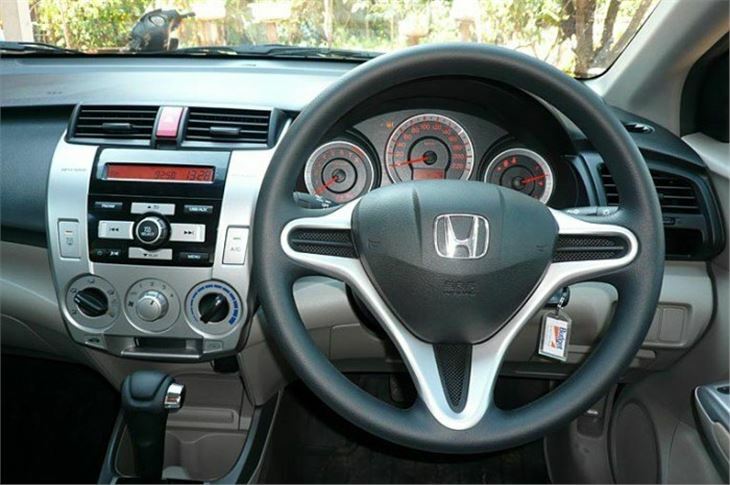 Unlike the UK Jazz it has neither a CVT-7 nor a 6-speed I-SHIFT. Instead you get very decent 5-speed torque converter automatic. You can select D3 or D2 on the floor (or use paddles on the VS), but in everyday driving there’s no real reason to because kickdown is quick and depending on how hard you kick, the box will instantly drop one or two ratios and get you past yet another slow old Isuzu Bedford lorryload of sticks. Lift and it’s back to cruising quietly and efficiently at around 30mph per 1,000rpm. Over a 396 mile fuel check, mostly with 3 – 6 adults aboard, and at cruising speeds of 75 – 90mph with plenty of overtaking, I averaged 42.94 mpg on Thai 91, which is about the same as UK 95 Ron, and also about the same as we get from our four and a half year old Vios. There was a sticker stating E20 95 Ron part bio on the back window but the man from Budget advised us not to use it. Thai petrol prices have fallen back much more sharply than in the UK from around 33 baht a litre down to around 21.50 baht a litre for 91 and down to around 17 baht a litre for E20. Even with Sterling at a low 50 baht / £1, that’s 43p a litre for premium unleaded and 34p a litre for part bio super. I did a total of 923 kilometres (577 miles) in the City, so got to know it quite well. The performance matched the looks, so if I were choosing between a new Vios and the new City it’s certainly the one I would go for. Whether the Brits would take to it over the Jazz is another matter altogether. And, unfortunately for the UK, the dash is so different from the Jazz I can’t tell you if it could be adapted to carry a heater as well as the standard fit aircon. 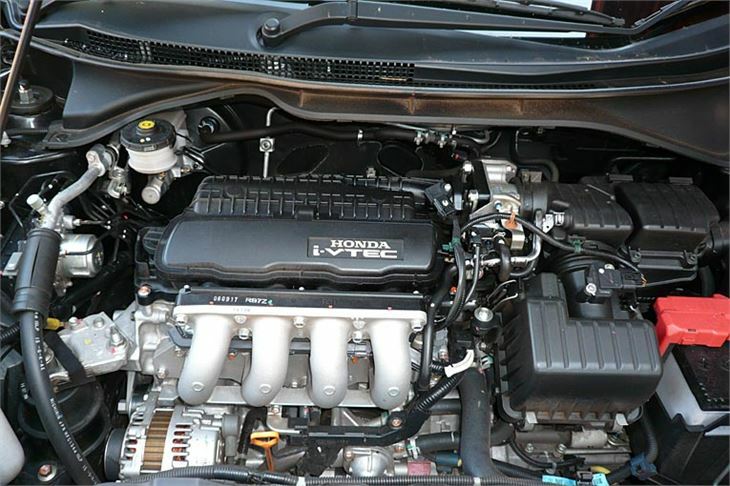 One thing it does do is make a very strong case for the pleasing combination of 120PS 1.5 I-VTEC engine and 5-speed torque converter automatic. 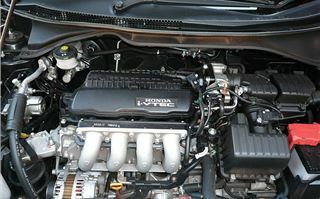 This won’t help Honda achieve its corporate fleet average of 130g/km CO2, but in truth it is the engine and transmission combination its UK customers really want, and, as I proved, the real world economy is good enough. 28-1-2015: Over 784.38 miles (more than 200 with 6 adults and 5 children aboard and quite a lot of it in traffic) a 70,000 kilometre later (facelifted) version of the Honda City, averaged a consistent 41.2mpg.